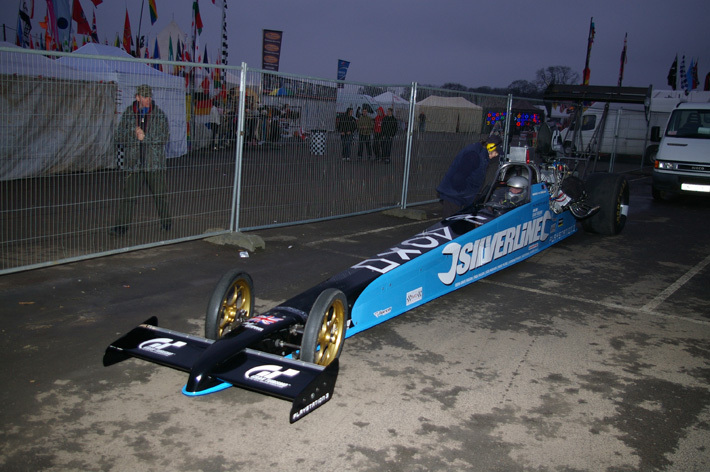 After a very successful debut in 2008 with our new engine combination in 2009 we want to build on the experience gained last year and develop the engine further to better suit the European tracks we run on. 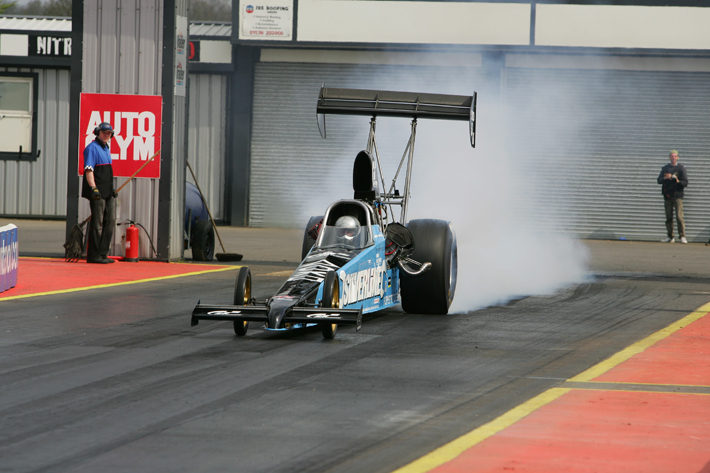 With this in mind we conducted a pre-race test before Easter at Santa Pod Raceway the results of which allowed us to refine the setup of the engine for the coming Easter race. 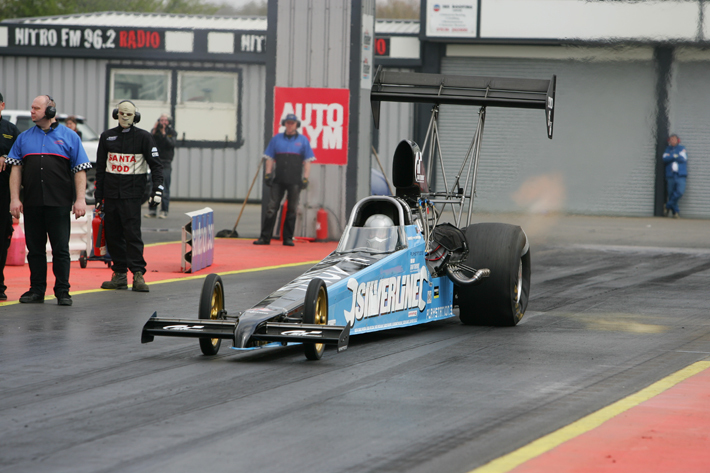 Easter weekend and the weather gods were not kind to drag racing! 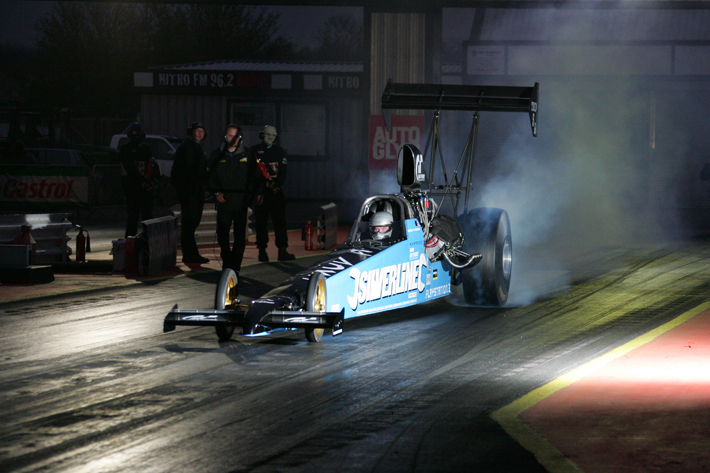 We lost the first two days qualifying to rain, however on the third day the track was open for qualifying in the late afternoon but due to the cold and the previous rain the conditions were not good for us in particular, and with our high horsepower the result was instant tyre smoke as soon as I hit the throttle (see video below). 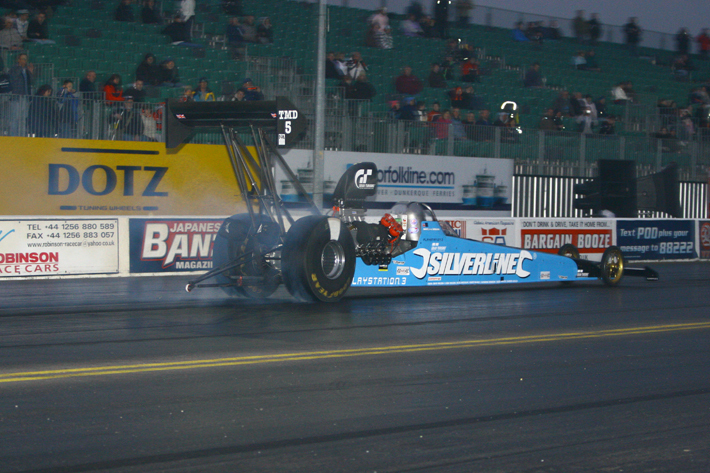 The next qualifying run was in the evening (see picture above and home page) the temp was cold enough that the throttle froze open and I could not get stopped in time after the burnout and the run had to be aborted. 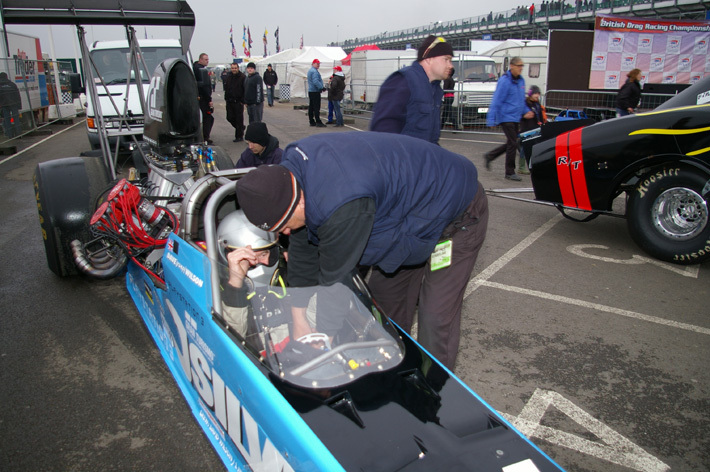 That left us in a not very good position going into the Eliminations on Monday.